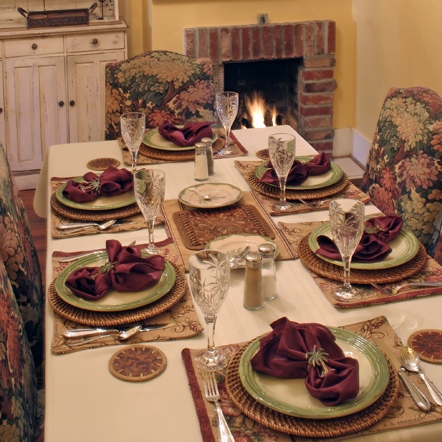 So far, we’ve talked about preference and personality when it comes to small inns, about having breakfast in bed (Zeigler House) and the flair that an innkeeper can bring to the dining room table (Azalea Inn). 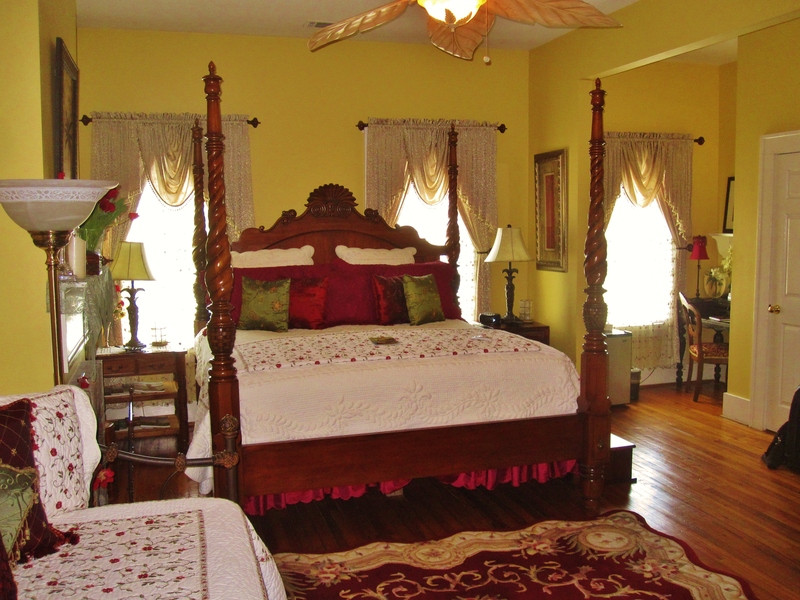 Now we move on to another properly placed alliteration that makes bed and breakfasts special: The passion of the proprietor. 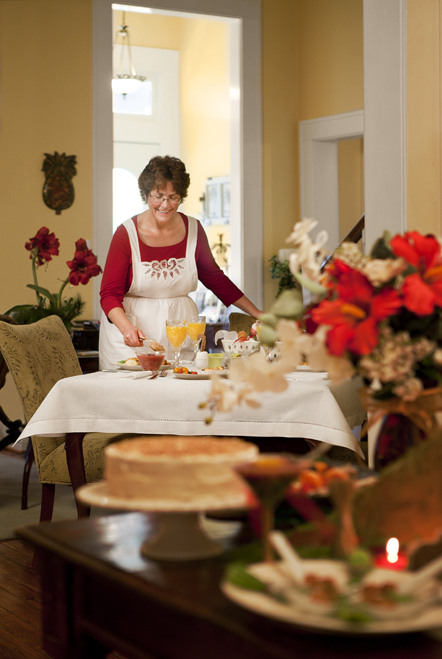 The reason Green Palm Innkeeper Diane McCray opened her doors in Savannah was simple: She wanted to work with people in good moods, folks on vacation. Once the employee of a moving company, she grew tired of money being the only reward that she reaped. We were in the kitchen when she told me the story, and I immediately felt a connection with her, understanding fully what she spoke. I mean, can you think of any business where the clientele is more stressed out than a moving company? Traveling has revealed to me that while many people are unhappy with what they do for a living, very few are willing to make a significant change to correct the situation. Many apply a band-aid and switch firms, others simply complain at happy hour. However some people, like Diane, are able to draw up an audible and find a new path. I have a great respect for this quality, mostly because I understand how difficult it can be to recognize that risks are worth taking. For me, there is a funny push-and-pull that takes place when it comes to the location of my accommodations. 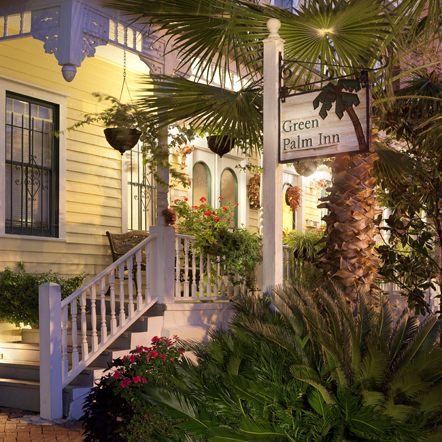 The Green Palm Inn is very inviting, however its proximity to restaurants, bars, the squares, and the waterfront makes it difficult to lounge around the house. 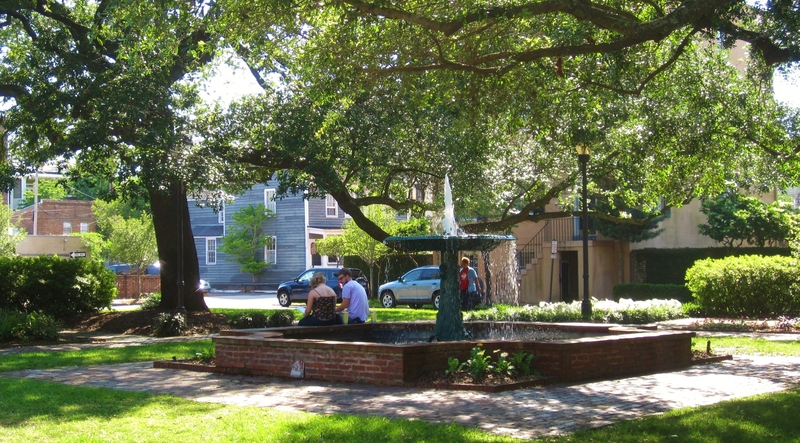 Step out the front door and turn right and you’re treated to a beautiful walk (few blocks) through Green, Columbia, and Olgethorpe Squares on your way to the center of Savannah. One block north of the Green Palm is Broughton Street, the main east-west drag in the historic district (littered with shops and restaurants). 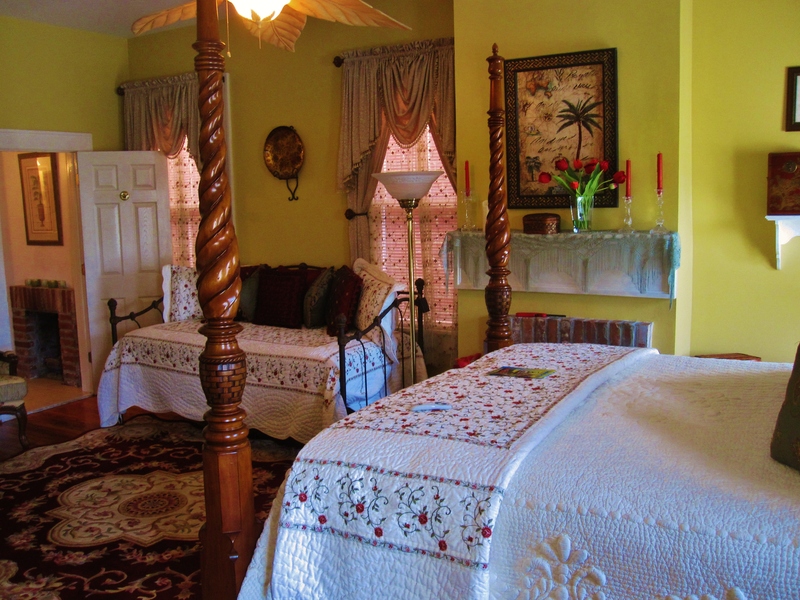 Feeling like a house guest (as opposed to a customer) is essentially guaranteed at the Green Palm Inn given that it has only four bedrooms. 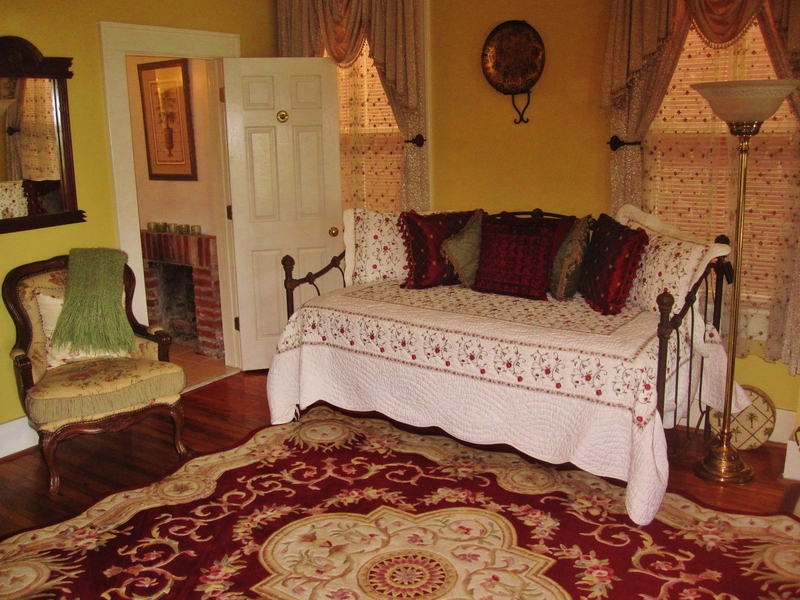 They’re large and comfortable, my room was far from small – I had a day bed in addition to the queen (see photos). While I’ve seen the breakfast crowd spill over to two tables in other inns, meeting and conversing with fellow patrons was a manageable task. After I had my coffee the floodgates opened, and we shared recommendations over Diane’s egg quiche, sausage, and cream-cheese danishes. Moving on from a career doesn’t mean you don’t take something with you, and Diane has done a wonderful job of combining her corporate organizational skills and efficiency with her desire to become a part of her guests’ good memories. When you meet her you can definitely feel it, the pride she takes in her work and, mostly, you can see that she loves what she does. 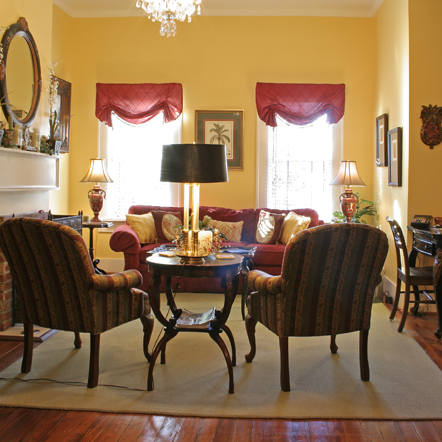 Running a bed and breakfast is no easy task – I’d be willing to bet she puts in more energy now than she did for her corporate job – but effort is all relative when it no longer seems like work. 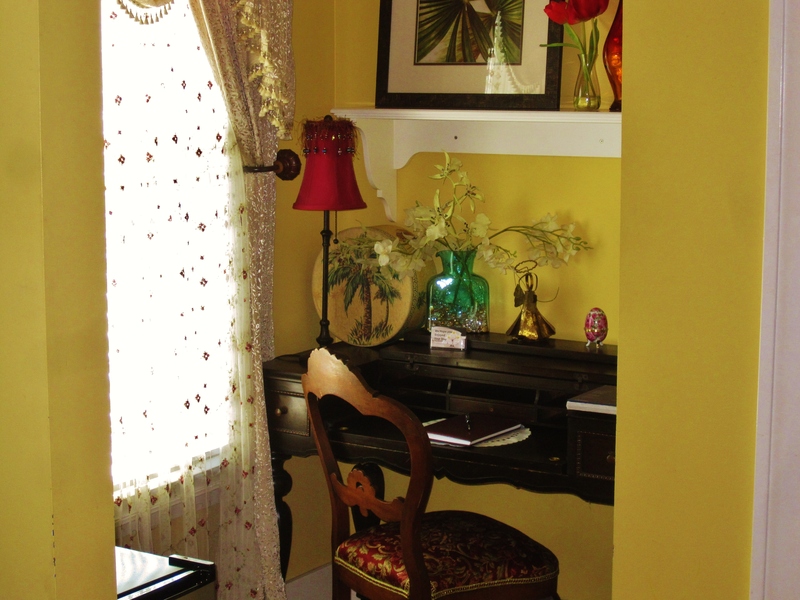 Green Palm Inn, Savannah (My room).